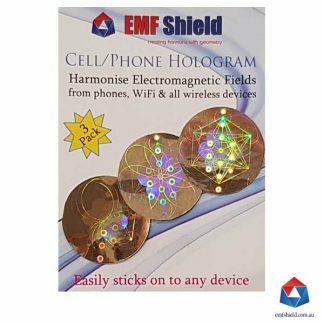 EMF Radiation Protection - Hologram 3 pack. Reduce your exposure now! 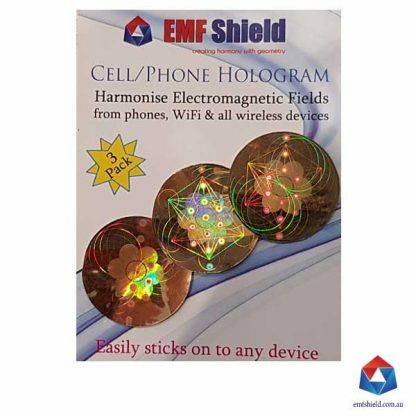 The EMF Shield Hologram Harmonizes electromagnetic radiation by projecting its sacred geometric coherent energetic field. Grab one for all your devices with this 3 hologram pack. This version of hologram for the 3packs are not as vibrant as the previous holograms. They are still 100% effective in harmonising EMF (with the same design/codes) they just need a specific angle to capture the light for its visual effect so the geometry does not ‘pop’ as much. 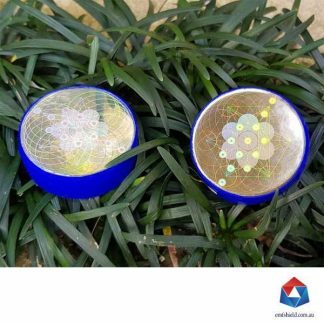 If you are more interested in harmonising EMF than visual appeal then these holograms are perfect for you, and at a reduced cost! 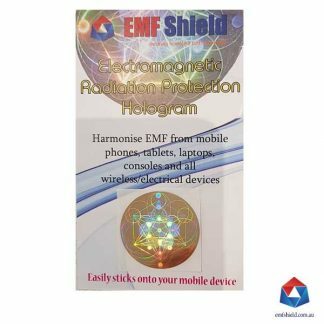 The EMF Shield Hologram has an amazing EMF harmonizing capacity by projecting its coherent energetic field out to a 19m* radius. Are you aware of the dangers your mobile / cell phone is exposing your body too? The non-ionizing radiation emitted from your portable wireless device not only connects your device to a tower for communication purposes, this invisible radiation is also communicating with your DNA and every cell in your body, it scrambles cellular communication within the body and can even break both strands of DNA, You need protection and you can get it with the EMF Shield Hologram! 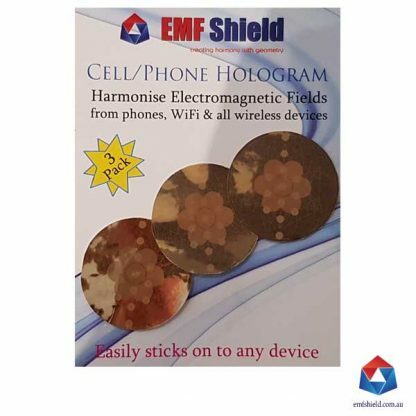 The EMF Shield Hologram is a micro thin Holographic Film encoded with very specific creation codes of Organic Biology. These codes continuously project an informational field of sacred geometry 19m into your local environment harmonizing any scattered EM energy fields. Note: This version of hologram is not as vibrant as the previous holograms. They are absolutely 100% effective in harmonising EMF using the same design/codes. These need a specific angle to capture the light for its visual effect so the geometry does not ‘pop’ as much as previous holograms. If you are more interested in harmonising EMF than visual appeal then these holograms are perfect for you, and at a reduced cost! Easily sticks onto any wireless device.